Happy Monday! I for one am incredibly, blissfully happy the weekend is over -- I need a rest. Do you ever have the kind of weekend where you're running nonstop and you just want to drop to your knees and cry, "A nap, a nap! My kingdom for a nap!" Today we're talking about plants. Yeah, that's right. Plants, baby. I like 'em. Just not the ugly, messy ones.Or the tacky looking fake ones. Okay, let me rephrase... I like the good plants. And bonus -- they're good for you! 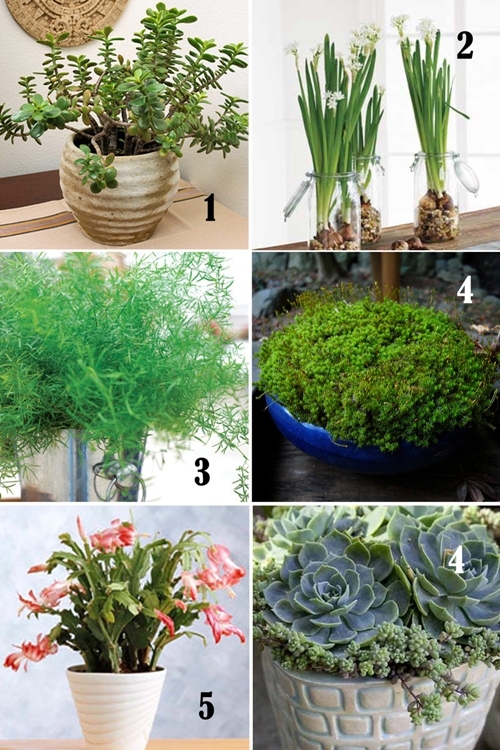 Some houseplants actually remove toxins from the air, and since indoor air can actually be more polluted than outdoor air (hello cleaners, aerosols, PAINT for you other addicts out there), and Americans spend 90% of their time indoors (um, maybe we should go outside?)... well, it just makes sense. Plant it up, baby. Just use the good ones. I'm not going to give you any spectacular pointers for decorating with plants, except to suggest that you avoid trailing plants in snazzy hanging macrame planters. 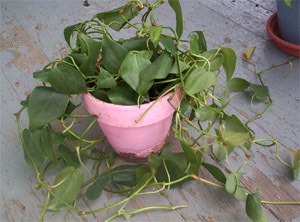 Bad plants: Scraggly philodendrons draped across bookcases and along walls, twenty cluttered pots of African violets stuffed on a window sill. That isn't cute, I promise. So don't wrap a plant around your living room four times just because it can reach. Keep it trimmed, people... nobody wants to see a mullet plant. Good plants: Succulents. Large statement making plants with a great shape -- as in something you can incorporate into your design as a 'living sculpture' as opposed to a shapeless mass of green leaves. So there you have it. Stick 'em in some pots, use them in your fancy vignettes and enjoy. Just don't forget to water them. Next, we'll talk about fake plants and flowers -- they can still bring a lot of appeal to your house, just without all those fancy health benefits. Bad fake plants: Dusty fake ivy top of cabinets (unless you have them on your cabinets... except not really. You should get rid of them immediately.) 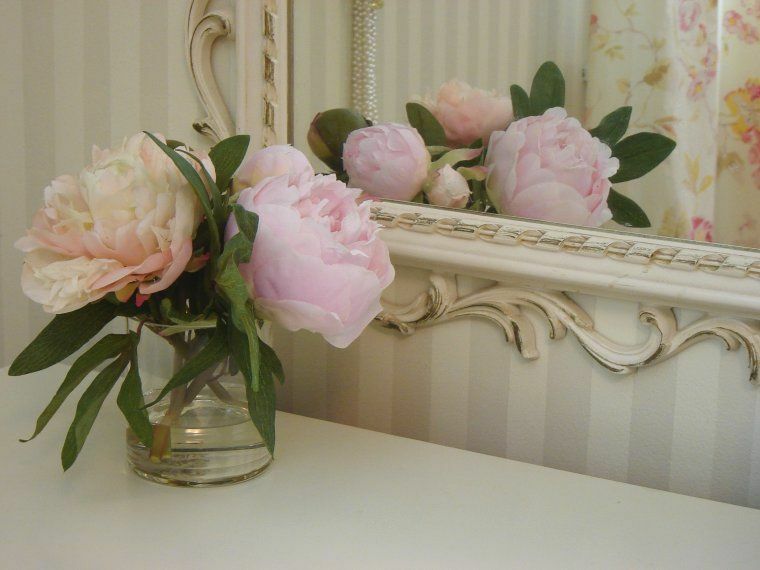 Elaborate artificial flower arrangements that are obviously fake and tacky. Good fake plants: High quality faux flowers in more organic groupings, a la market bunches -- still use sparingly, 'cause real flowers are about one hundred times better. Realistic looking succulents (even though they're easy to grow, don't be afraid!). So that's that. 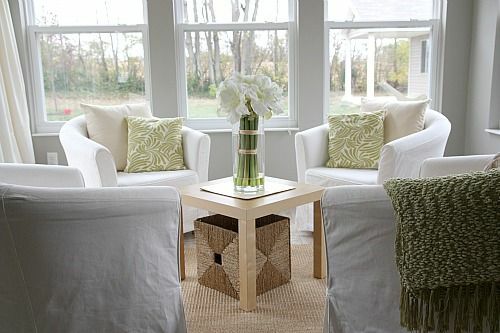 Choose to decorate with plants plants, but no fake ivy, no ring-around-the-living-room, and avoid tacky. Simple enough, right? One last tip: no matter the plants you choose, keep them clean. All plants, even fake ones, need to be dusted. Dust isn't pretty, and it can actually inhibit live plants from absorbing sunlight and working their magic toxin-reducing powers. So wipe them down or even consider taking them outside for a little shower now and then. Are you a lover of fake plants, or do you keep it real? 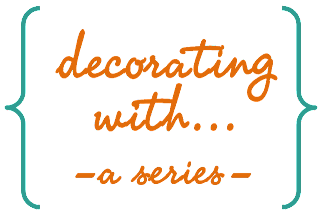 Do you share my decorating philosophy #1? Can you watch my kids so I can take a nap? Seriously, this weekend ruined me. 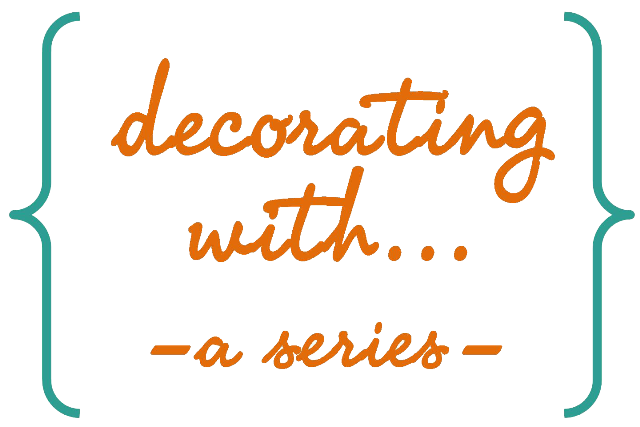 Come back next week for the last post in this series, decorating with collections! I love your comment about mullet plants!! ;o) LOL!! BTW- I finally painted that light fixture(the one that's a twin to yours); LOVE IT!! What a difference!!! It'll be going back up soon, reneweded & refreshed! !